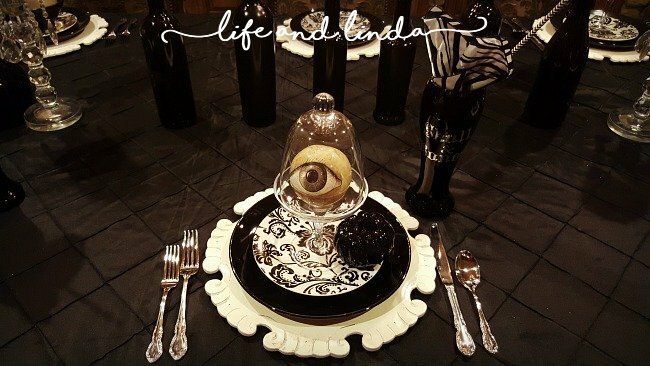 Home / eyes / Halloween / tablescape / I Got My Eyes On You! I Got My Eyes On You! Eyeballs for appetizers anyone? I am using these fun eyeballs from GrandinRoad. 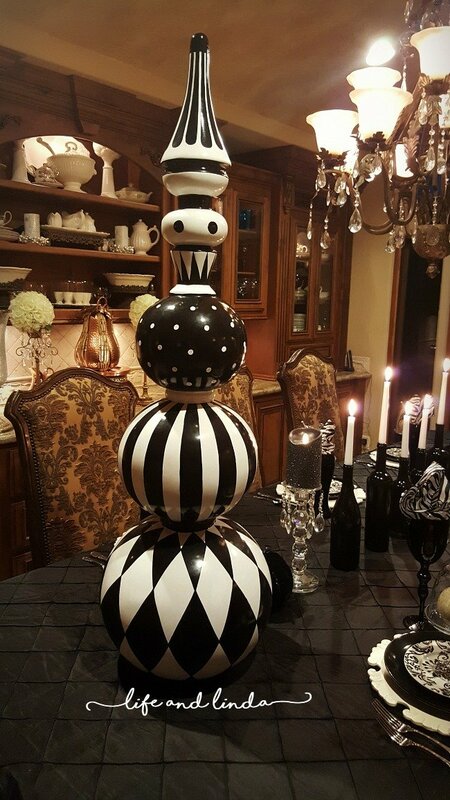 They are nestled in cloches with my black and white plate stack. 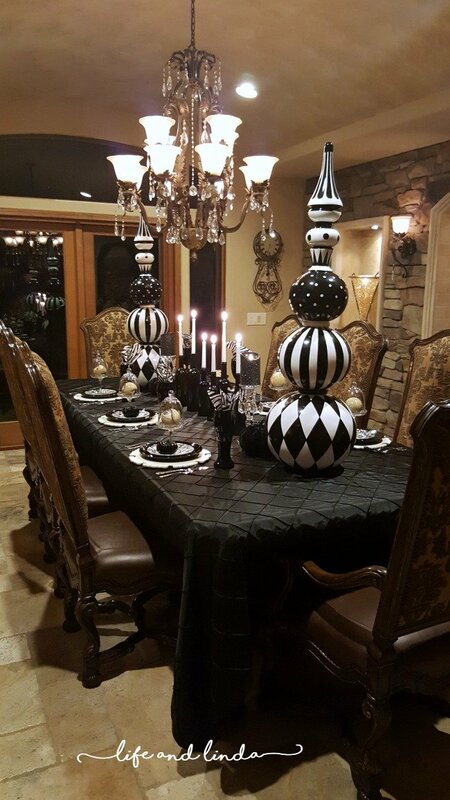 Using this pintuck black tablecloth from linencloth.com sets the stage for this fun Halloween tablescape. White plate chargers from Pier1 along with some tall black glasses. 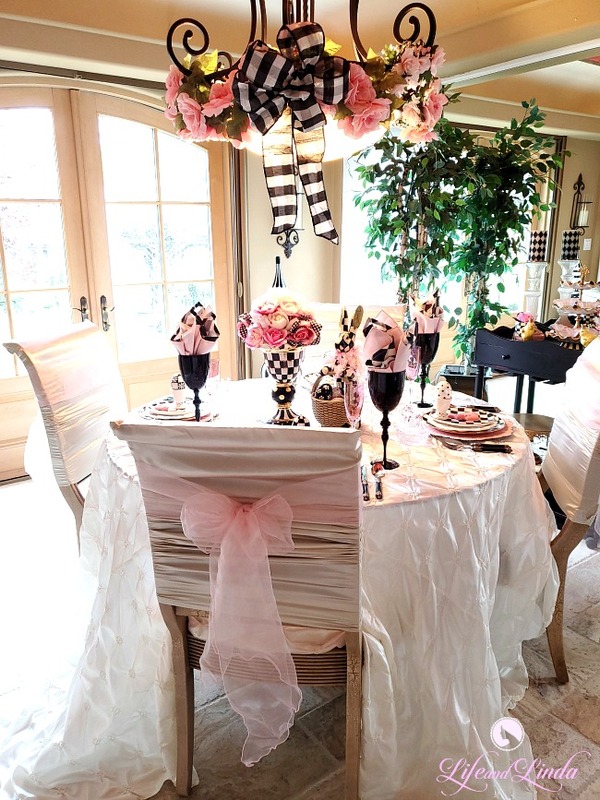 Black and white striped napkins fit this theme nicely. For the centerpiece, I am using wine bottles along with some empty balsamic bottles. 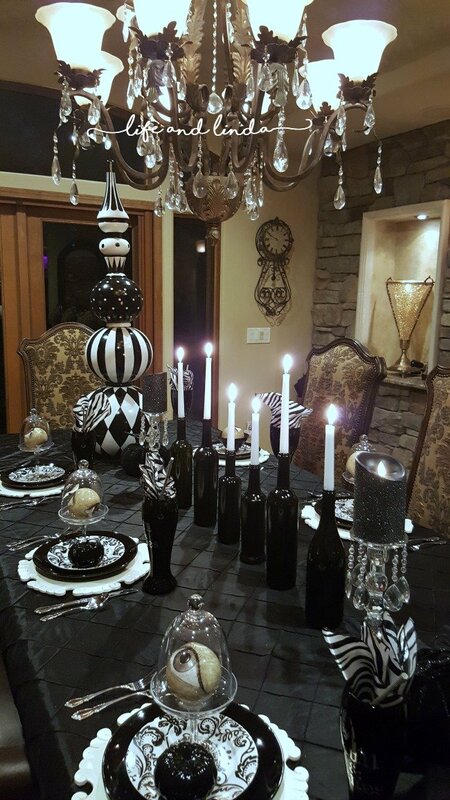 I spray painted them black for more of a dramatic look with the white candles. View of our back wall niche with a vineyard mural. We keep our Jura coffeemaker there. 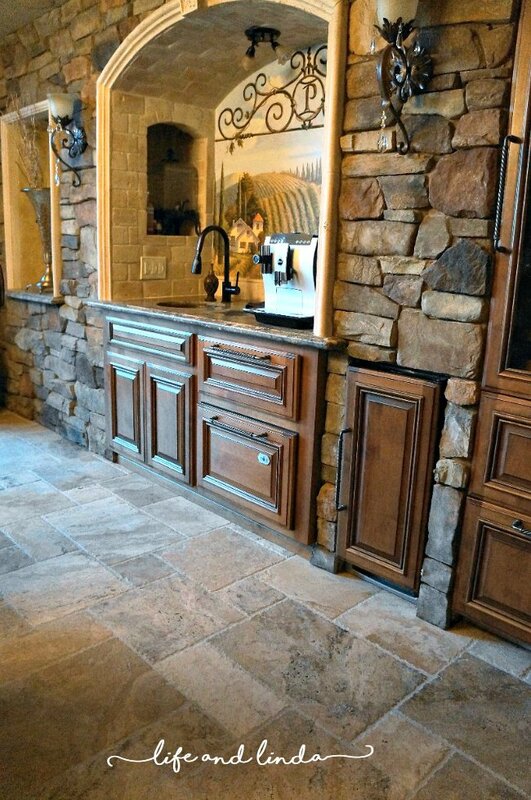 There is a copper sink, dishwasher, warming drawer, ice maker and sub-zero wine refrigerator. Perfect for entertaining. 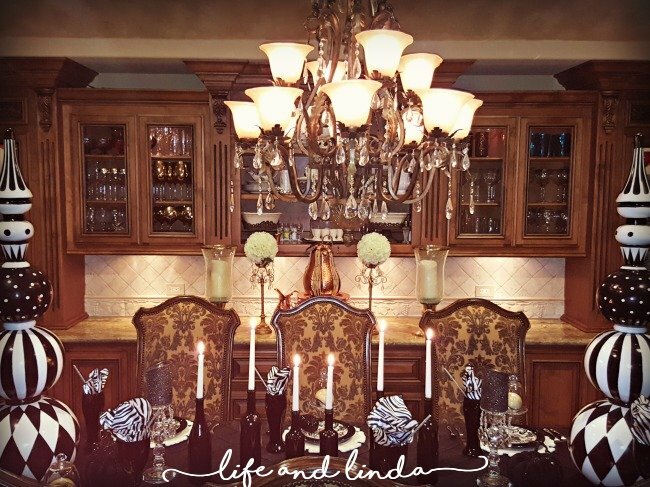 There is nothing like candlelight for a lovely dinner party. 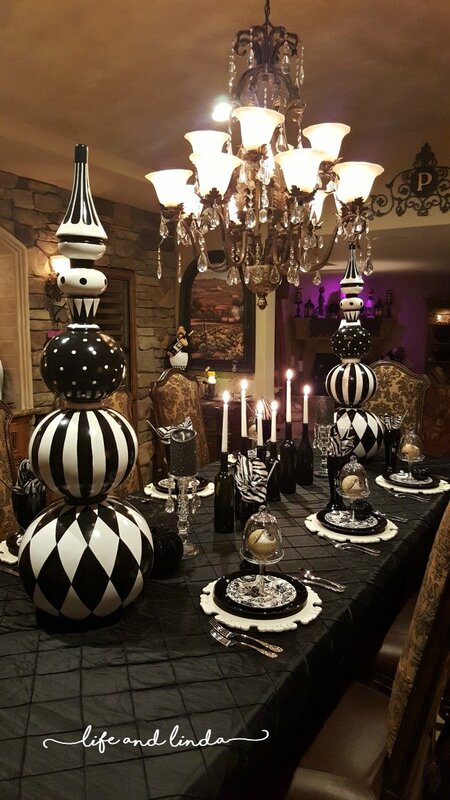 The Halloween Harper topiaries have come in handy for this black and white table. I used them for my mantel here. You can use them outdoors on a porch for a fun look. I plan on using them at Christmas by adding some red. 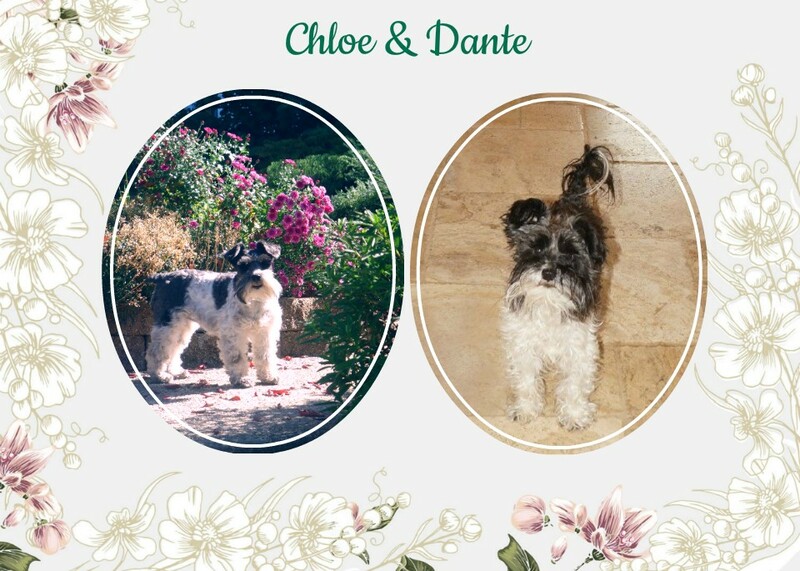 Very elegant, all things considered! Fabulous festive table setting. Love how you displayed the eyeballs. Only you can make eyeballs on the table look adorable! I think the white plate chargers look like little toes under the plate. 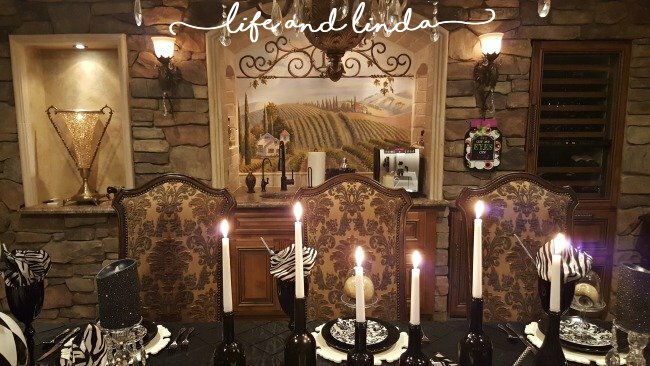 Once again Linda you have created an amazing tablescape! So apropos for the Halloween season, including those fun looking eyeballs! Who would have thought to include them in a beautiful table setting! I love it!!! 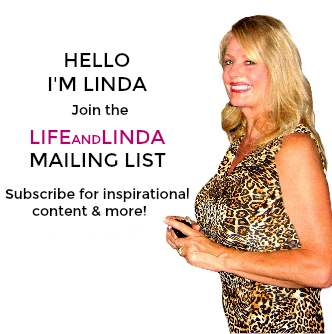 This is pretty doggone spectacular, Linda! Those topiaries really add a lot visually! Fantastic!!! Yes, that is very spectacular! You constantly amaze me with your many talents. I want to sit at that table! 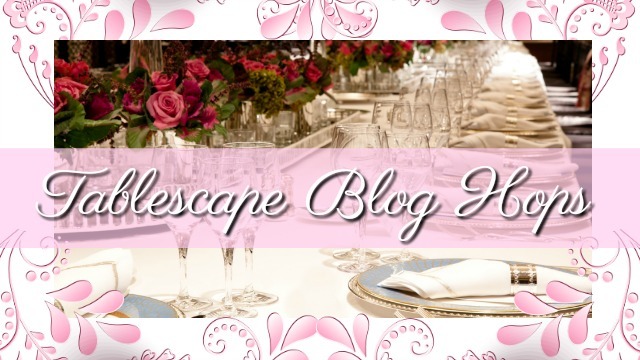 I so enjoy seeing your gorgeous decor! 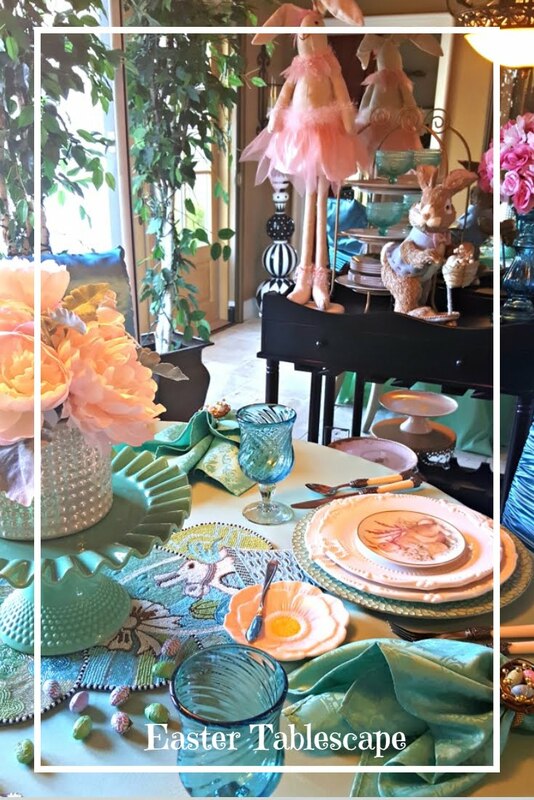 Beautiful table and love the whimsy of the eyeballs! Lovely Home. 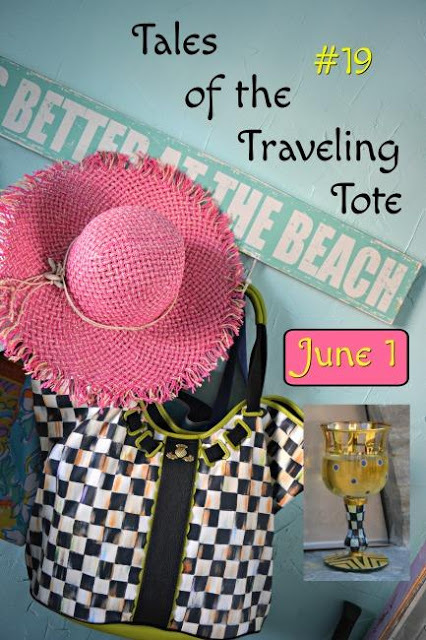 Love the hat and cute "BOO" for your pop up! Love those Harper Topiaries and the crazy eyeballs! What a fun table. I like the bottles with the candles- great look! Your dining room is one of my favorite areas in your home- love the stone work and the arches. I'll have a mocha latte! No one does elegant better than YOU!!! Beautiful! Wowza Linda, those eyeballs are crazy scary cool!!! 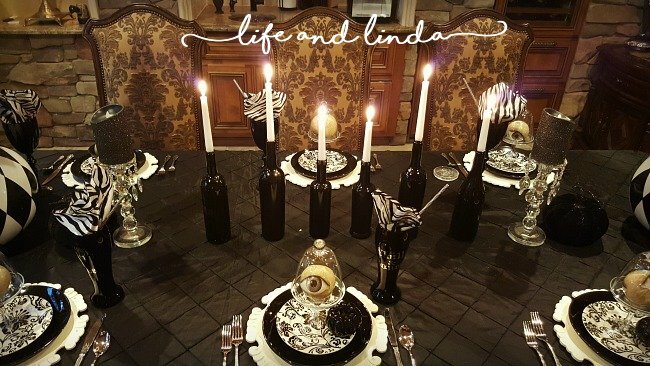 Linda, this is such a pretty and elegant Halloween table. You have such a beautiful home! Ghoulishly eerie! And quite elegant! ONG!! I absolutely love this!! Simply Beautiful! Thanks for Sharing. Very Thoughts provoking article it really help me to set my strategies regarding Embroidery Designs Simply Beautiful! Thanks for Sharing. Definitely a great post. Hats off to you. The information that you have provided is very helpful.